If it wasn’t for the work of the namers. and call every crawling thing a bug. to know who was kith and kin? 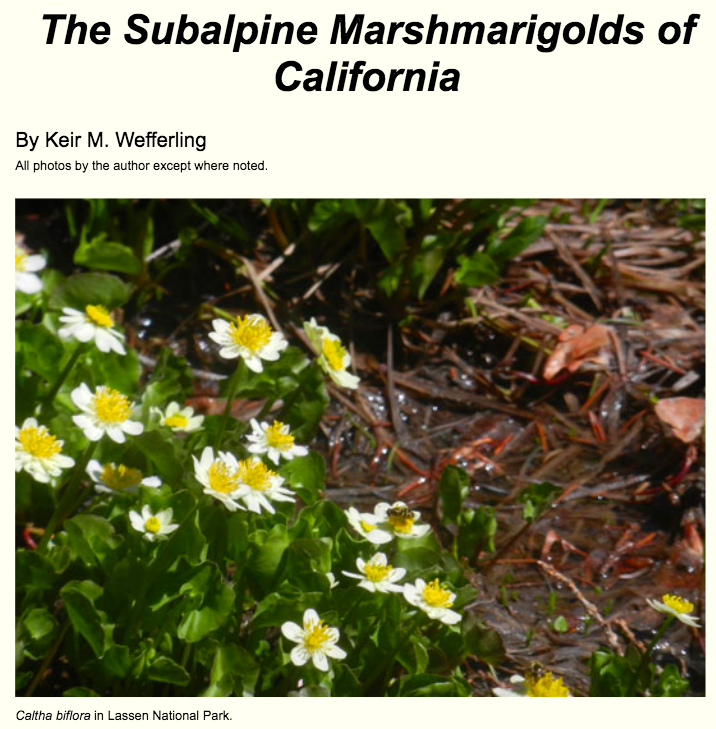 I was recently invited to write an article for the Friends of the Regional Parks Botanic Garden, and chose to write about a group of plants I studied for my doctoral dissertation, the subalpine marshmarigolds of western North America. 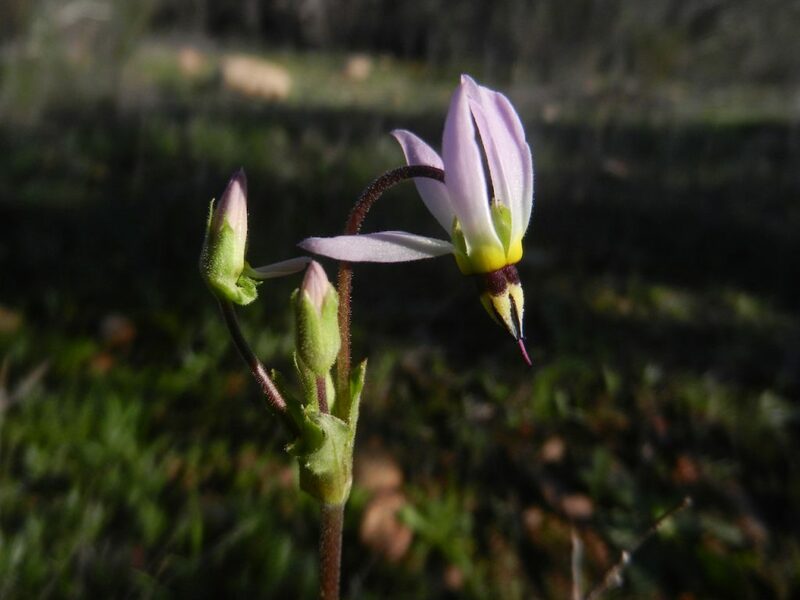 For this article I focused on the two species that occur in California, the hexaploid Caltha biflora and the allododecaploid C. leptosepala. 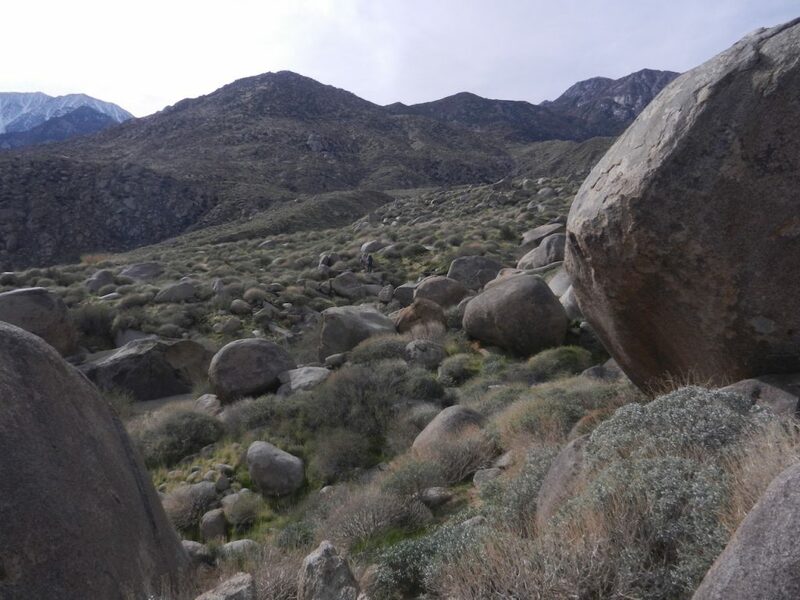 While the hexaploid is widespread in the mountains of California, the allododecaploid is apparently very rare in California, and restricted to the Warner Mountains and High Sierra. It was fun to write in a different style than usual, and hopefully the article will reach an audience beyond the academic community! 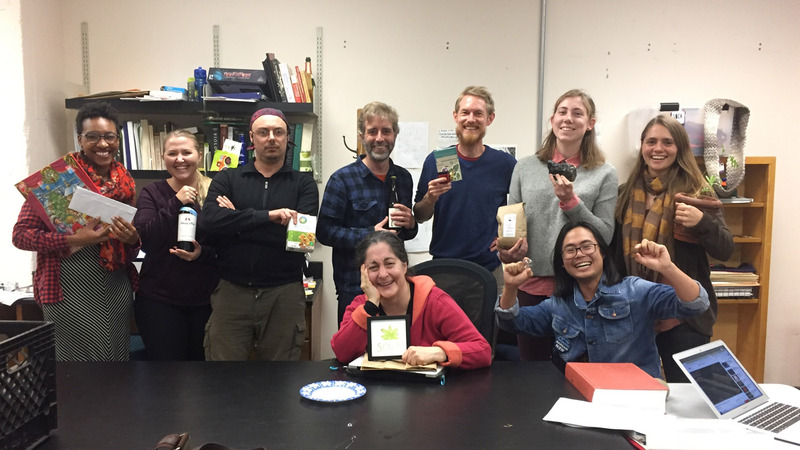 Ferns were on full display at this year’s Science Slam at Black Pine Circle School, a K-8 private school in Berkeley, California. 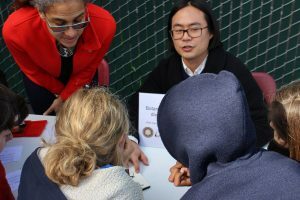 Graduate student Mick Song participated alongside several scientists and science educators in kicking off a week of science for the middle schoolers. 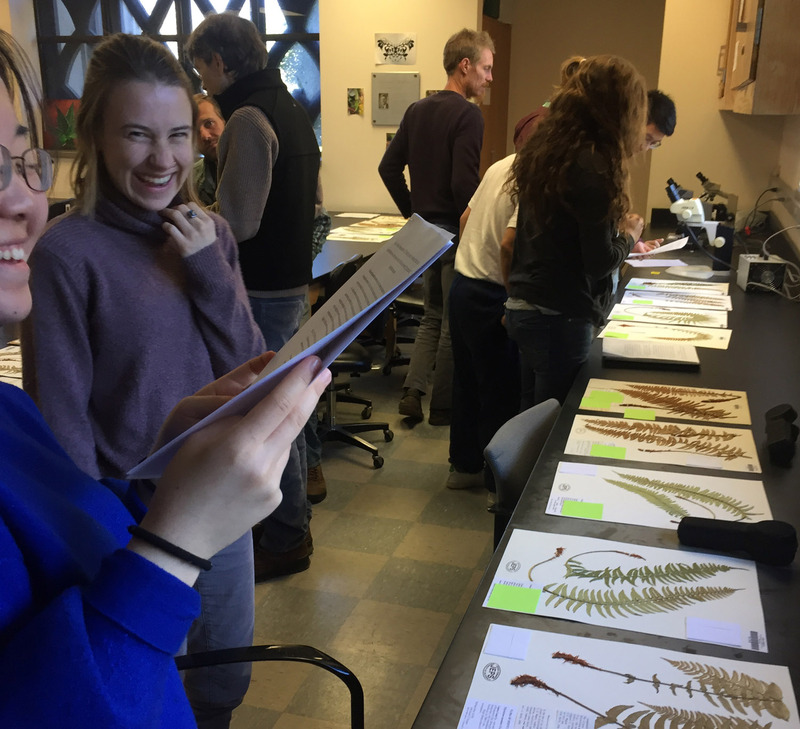 Showcasing several exciting ferns and lycophytes from Costa Rica and telling them about the exciting Azolla event, Mick introduced several students to the world of pteridology. However, there were several intrepid students who already were pressing plants at home! The youth are alright! How to express enduring love? With paleo valentines! These gems (and their captions) are courtesy of Allie Weill — thank you Allie!! If you’re impressed, you get more Allie content on instagram (@al.m.weill) and the twitter (@Al_R_Wallace). This valentine features Lepidodendron, a big fossil tree that could grow to 100 feet tall. 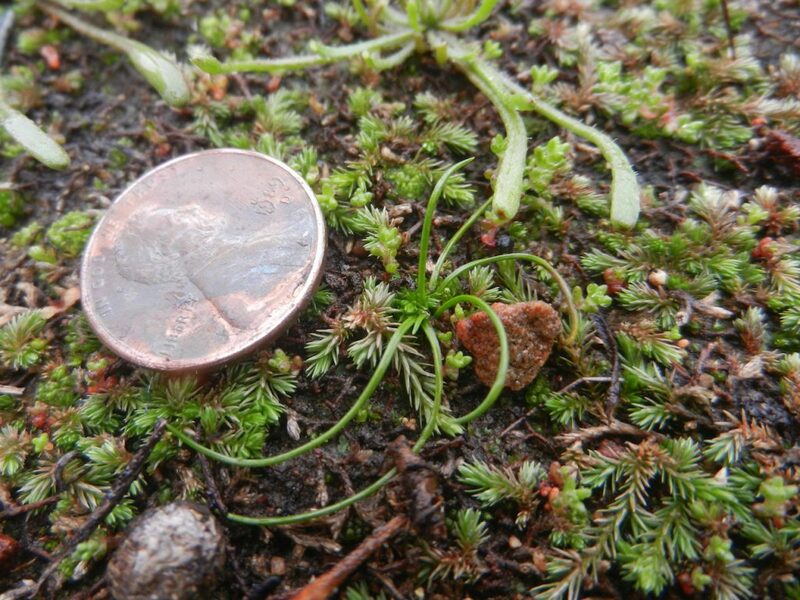 Lepidodendron is classified in division Lycopodiophyta, the group that includes modern day club mosses and quillworts, one of the earliest branching off groups off vascular plants. 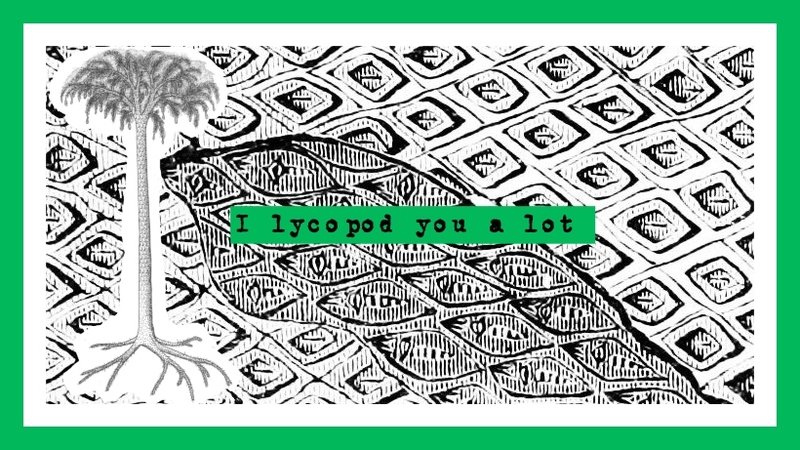 Lycopods were much more diverse in the Carboniferous, when Lepidodendron lived, forming vast forests. The background of the valentine shows the distinctive leaf scars that covered the bark of these trees, while we see an illustration of what the full tree may have looked like in the foreground. 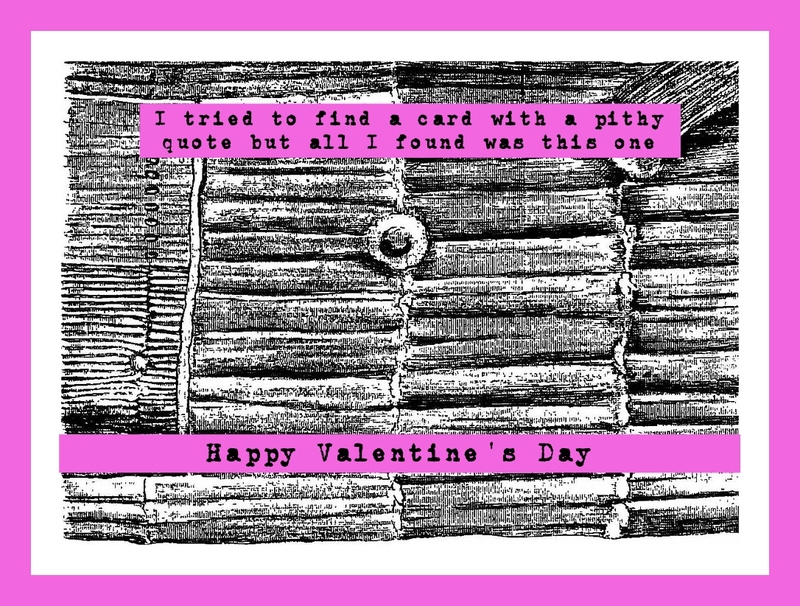 This valentine features a pith cast (infill of the center of the stem) of Calamites, a Carboniferous tree-sized relative of modern horsetails. Like the lycopods, the sphenopsids (horsetails and their relatives) were much more diverse historically than they are today, with sphenopsid trees common in Carboniferous forests. This valentine features a close up of the structure and an illustration of Prototaxites, one of the most mysterious of fossils. It formed huge trunk-like structures and lived mostly in the Devonian period (~420-360 mya). 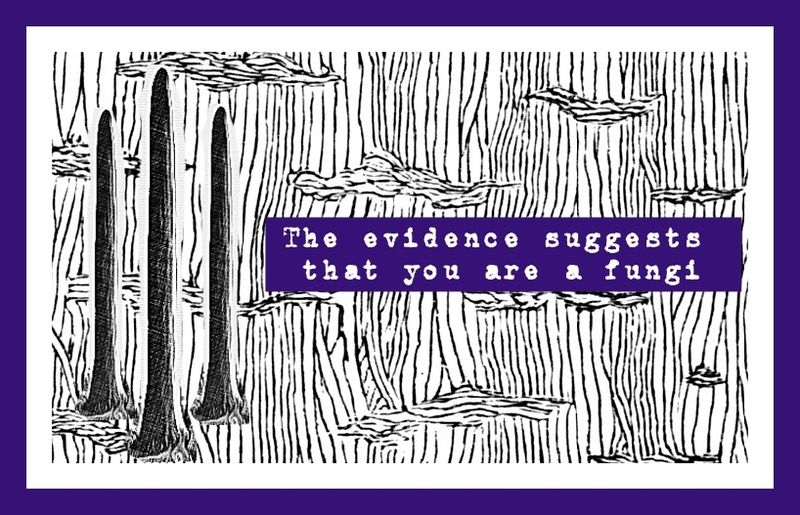 Because of hyphae-like structures in the fossil, as well as isotopic evidence, it is widely considered to be an enormous fungus, perhaps even a lichen, but there are other theories. 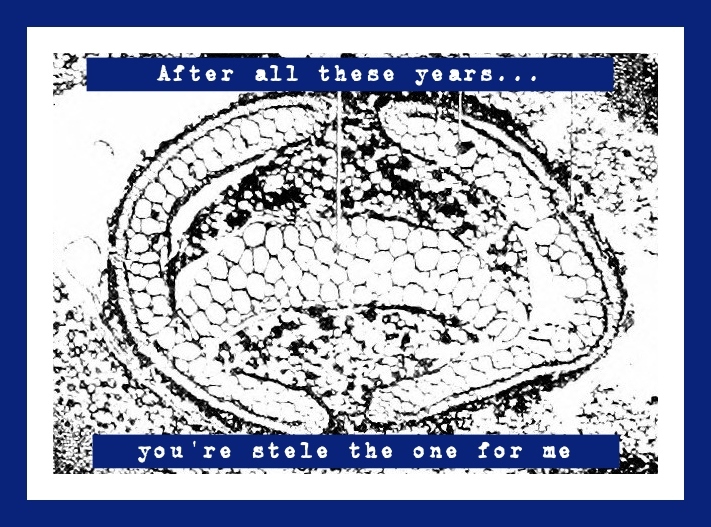 This valentine features the stele (the primary vascular tissue and supporting pith) of an ancient fern called Ankyropteris, which lived in the Carboniferous period (~360-300 mya). 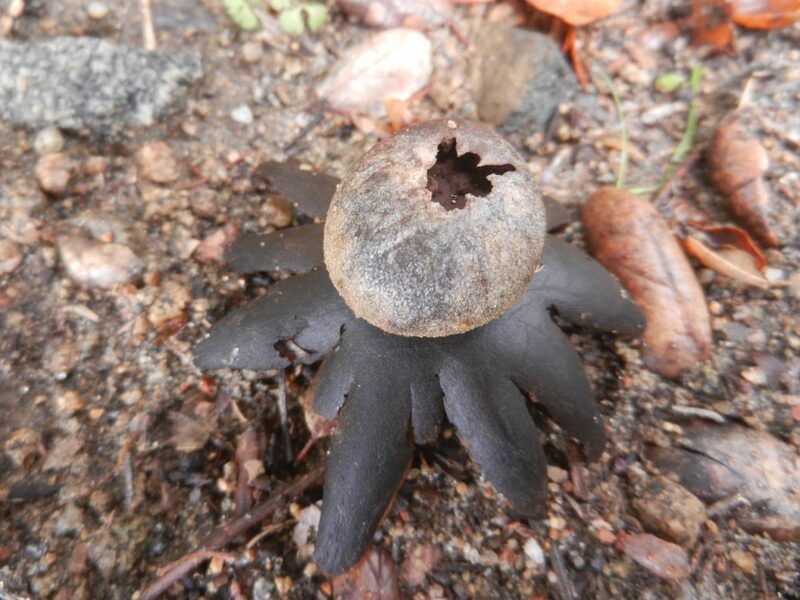 During this time we get exceptional preservation of cellular structure in coal balls, a type of fossilization enabled by the coal swamps of the era. Many plants of this time can be identified by the unique shapes of their steles, and ferns have some strange ones, like this H-shaped stele. Jonathan took the reins for last week’s PLANTS! 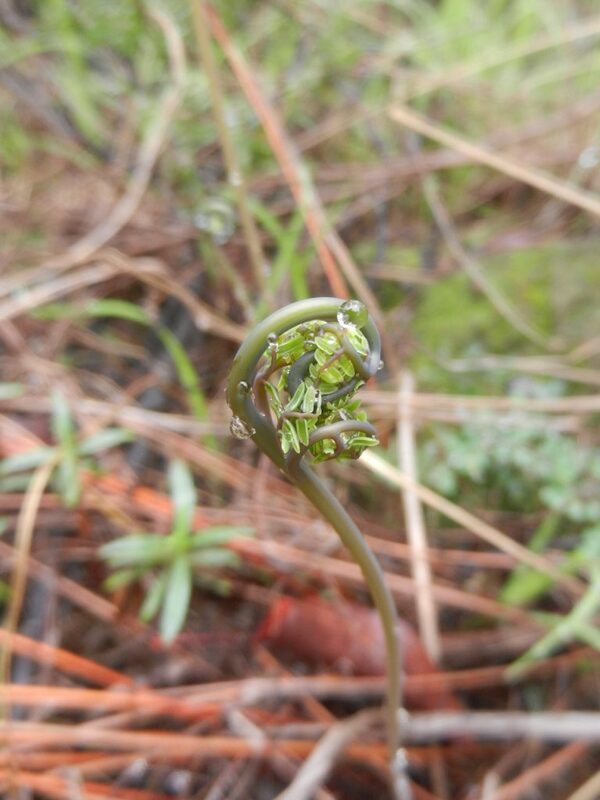 seminar and gave a compelling tour of the glory and mystery of reticulating Polystichum. 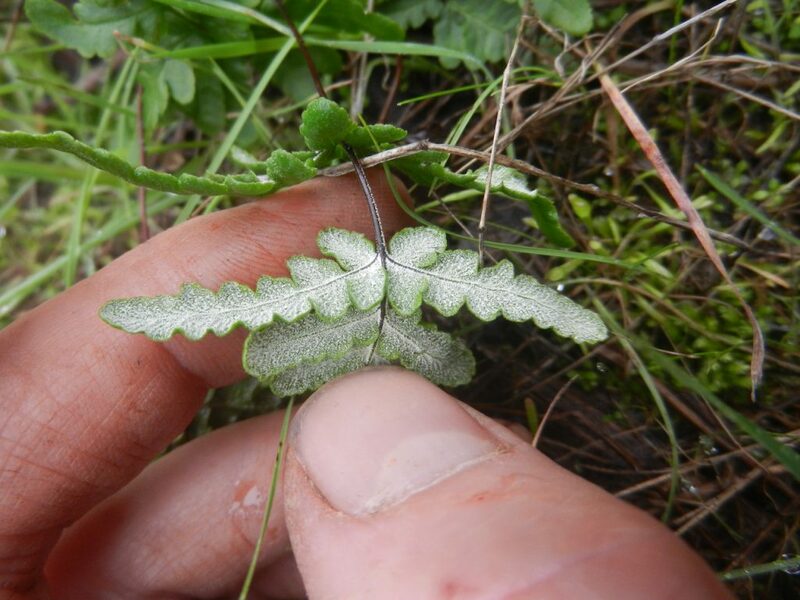 Killer synapomorphies for Polystichum imbricans subspecies curtum remain elusive, however. My study organisms are huge! Just look at how much fun ferns are. 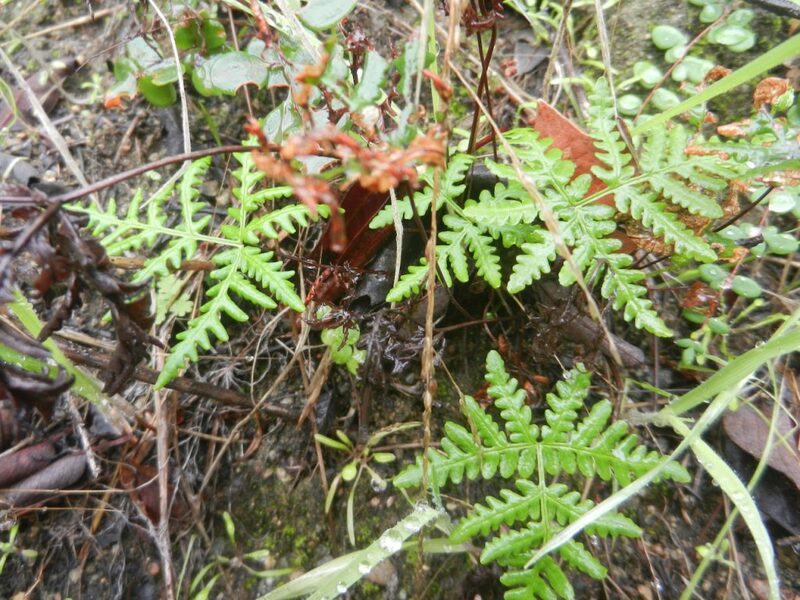 Polystichum in particular. 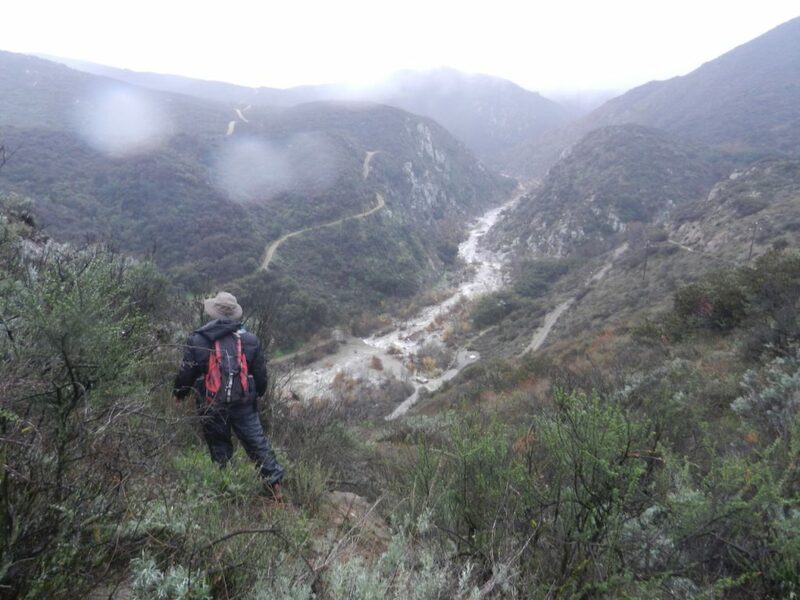 Our recent fieldwork at Santa Margarita Ecological Reserve (in Riverside and San Diego Counties near Temecula, CA) resulted in on online article on the San Diego State University Field Stations Program new website! This spot was absolutely luscious, with lots of topographic diversity, rain, mud, flowering plants, ferns, lycophytes, fungi, and liverworts. 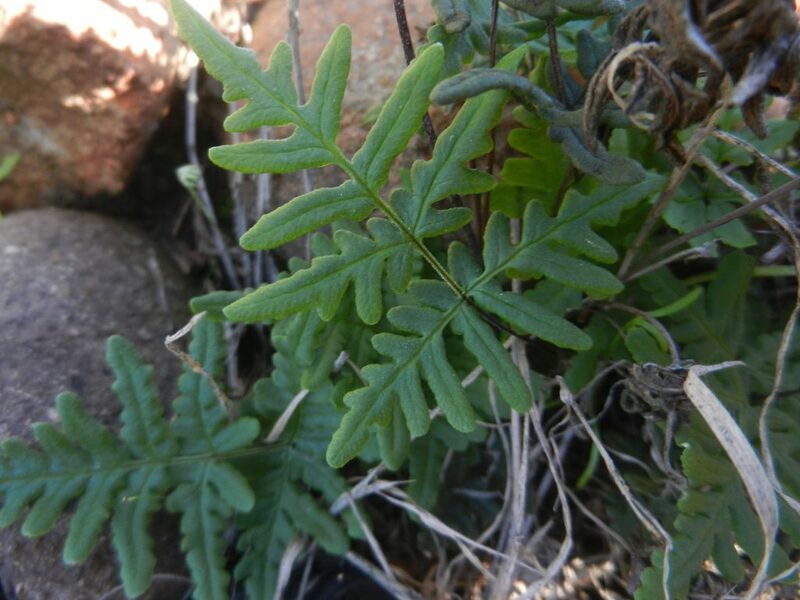 We (Forrest and Keir) found the first Pentagramma triangularis of the trip here, which rounded out our other fern and lycophyte collections of the morning nicely. I’m so grateful that this Reserve exists, and that the SDSU Field Stations make this biodiverse region so accessible for research. See previous post for more luscious photos of SMER! 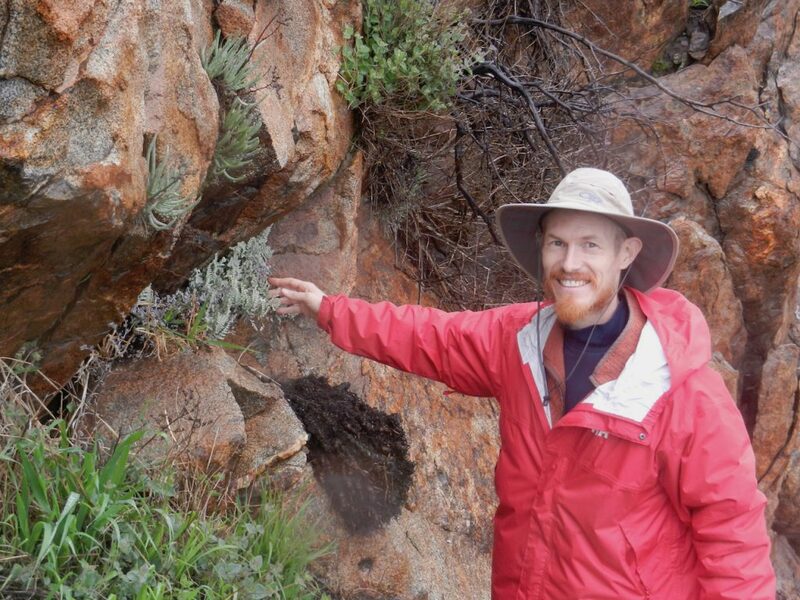 In mid-January, two researchers from the Rothfels Lab, Keir Wefferling, focusing on Pentagramma (the goldback and silverback ferns in Pteridaceae) and Forrest Freund, with a focus on the lycophyte genus Isoëtes, (quillworts, in Isoëtaceae) visited three SDSU and UCNRS Ecological Reserves and a number of National Wildlife Refuge sites in San Diego, Riverside, and San Bernardino Counties. Their fieldwork took place amidst some magnificent rains, wind, and sun! Pentagramma glanduloviscida; looking a little P. viscosa-esque with those +/- entire proximal basiscopic pinnules of the basal pinnae. 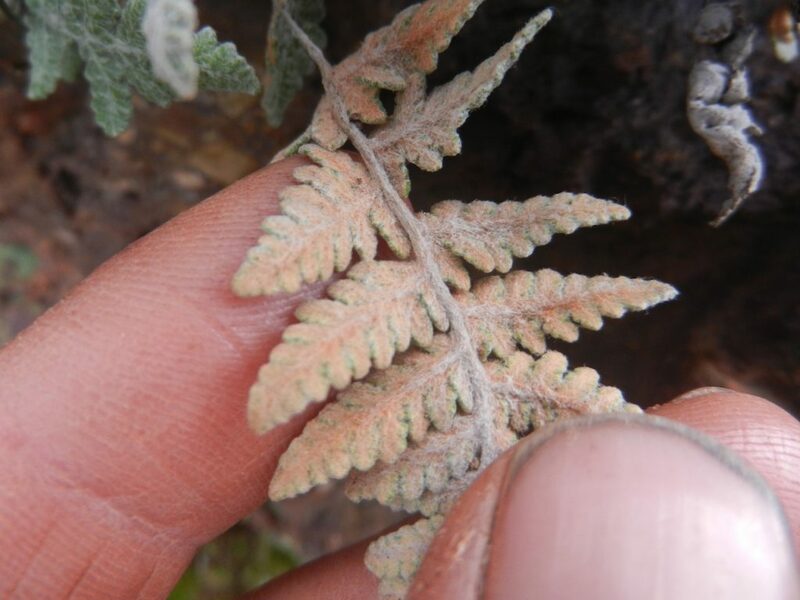 The collection trip was focused on the pteridaceous fern genus Pentagramma, and they managed to find 3.5 species: the goldback fern P. triangularis and the more or less silverback ferns P. maxonii, P. glanduloviscida, and a likely cross (allopolyploid?) between P. glanduloviscida and P. viscosa. Pentagramma currently has six recognized diploid species and an unknown number of polyploids (mostly triploids and tetraploids) formed through natural hybridization among the diploids. 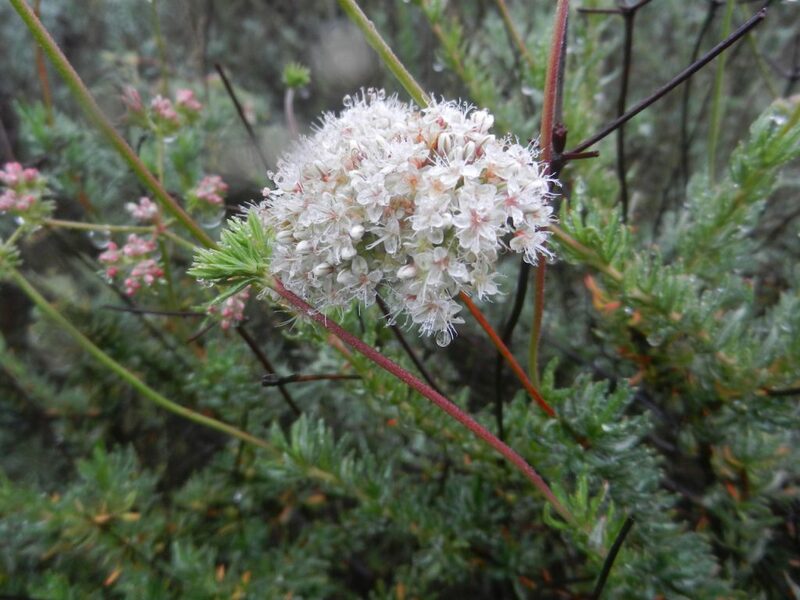 In order to get a better grasp of the morphological, genetic, and chromosome number variation among different populations of Pentagramma, Keir has been sampling from across the range of the genus, incorporating material from herbarium specimens and from the field. Fresh and living material collected on this trip will be particularly useful as it provides high quality DNA and RNA for sequencing work, is ideal for genome size analysis using flow cytometry, and may yield meiotically active cells suitable for chromosome counting work! Oasis de Los Osos, UCNRS; westernmost Sonoran Desert, with Pentagramma maxonii! We were all good this year, apparently. Especially Sonia, who was rewarded with an absolutely gorgeous Syntrichia. And how better to celebrate Santa’s largess, than with BUFFET. An outtake, this one featuring Jonathan. Sneak peak: Microbiomes dead or alive! 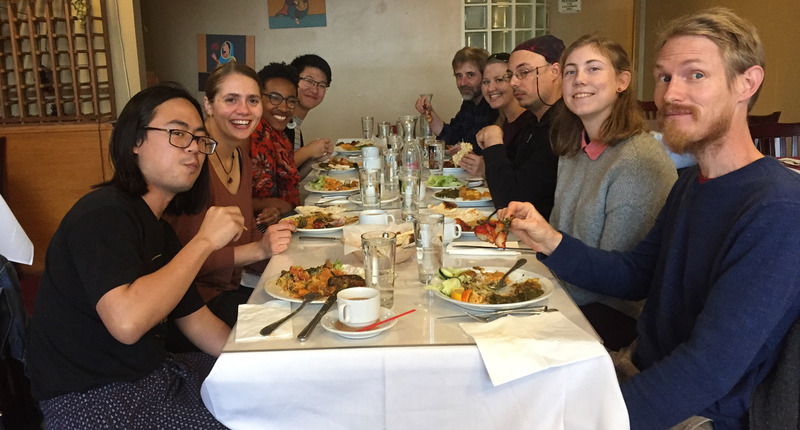 Rothfels Lab graduate student Mick Song has caught the microbiome bug! 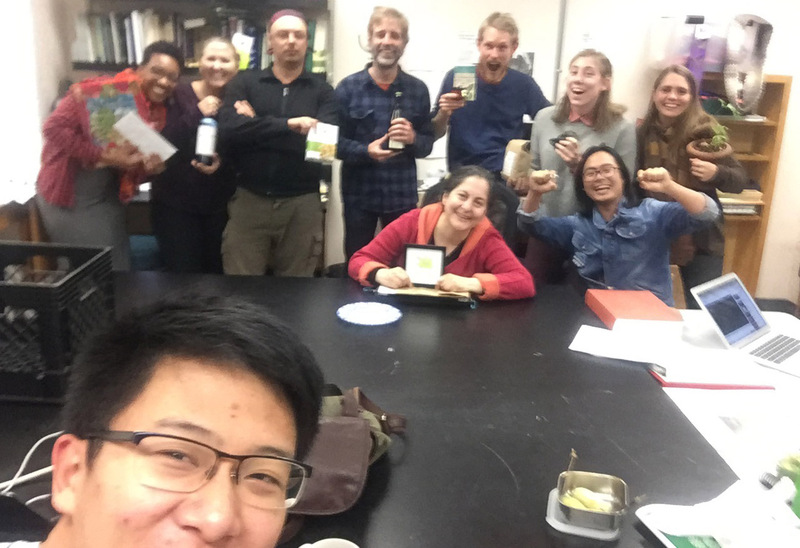 After finishing a project studying the variation in the microbiota of Daphnia magna across genotypes, populations, and temperatures with longtime collaborator Dr. Sarah Schaack at Reed College, he gave a guest lecture and tutorial on microbiomes in Dr. Jeremy Coate‘s Bioinformatics course last November. Now he is teaming up with Dr. Jordan Metzgar curator of the Massey Herbarium at Virginia Tech (who taught Carl how to do PCR many years ago!) 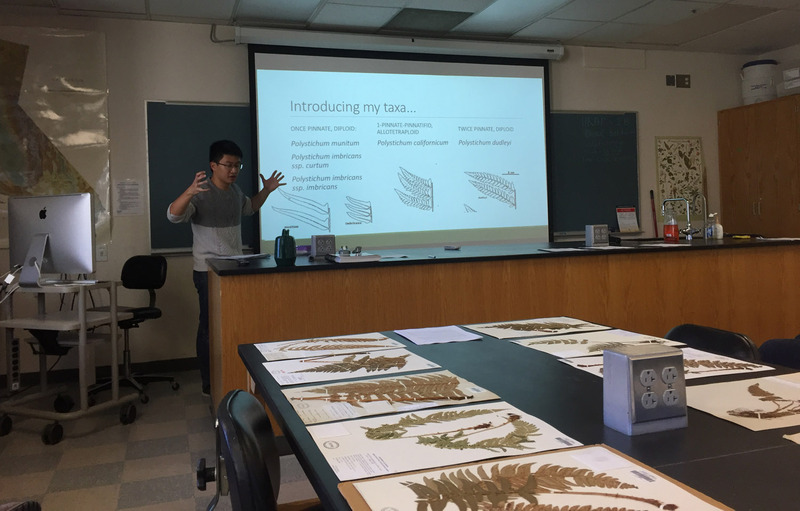 and undergraduate student Amber Reaney to explore the possibility of capturing microbial diversity in herbarium specimens of Azolla, building off of the recent work of Daru and colleagues . While they break new ground in the herbarium, Mick will be in the lab with live Azolla trying out some exciting protocols for extracting and characterizing the microbial diversity in the leaf pockets of Azolla across the genus. 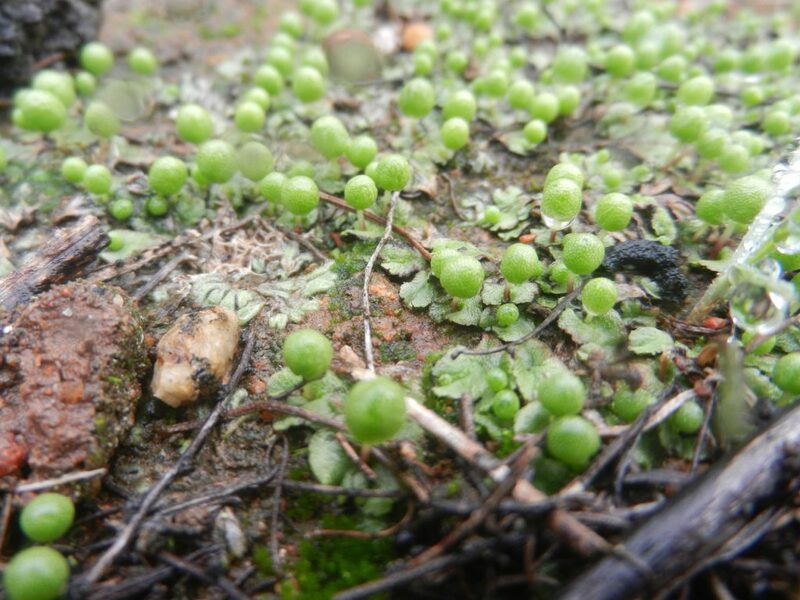 Although the Azolla-Nostoc symbiosis has been well-described , the community composition of the bactobionts as a whole remains poorly understood. Who knows what they will find! Despite some age he still was Game. About their Latin names he taught. Of family and genus talked. New species did they ever seek. With rarest ones still yet unfound. in forest glades, by every stream. He cast his net with every pace. On every happy ferny day. To seek those ferns that yet we lack. Bright ferns will weather every storm.